Power lines present hazardous operating conditions for helicopters, especially when the pilot’s vision is obscured by dust, smoke, fog, rain or snow. For most of RGB cameras, power lines are usually subtle and difficult to be detected especially under poor lighting conditions and in the evening. Radar can work under poor visibility conditions and in the evening. 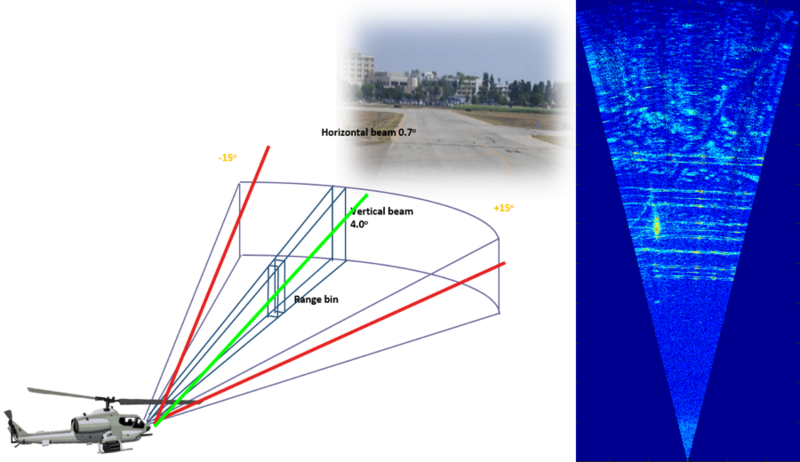 We propose an automatic power line detection framework principally based on image processing and machine learning for millimeter wave radar video. Experiments show that our algorithm can achieve high accuracy of detection. Ma, D. Goshi, Y.C. Shih, and M.T. Sun, “An Algorithm for Power Line Detection and Warning based on a Millimeter-Wave Radar Video,” IEEE Transaction on Image Processing, vol.20, no.12, December 2011. Q. Ma, D.S. Goshi, L. Bui, and M.T. Sun, “Robust Power Line Detection with Tracking in Radar Video,” APSIPA Transactions on Signal and Information Processing, vol. 4, September 2015.